When I went to school in downtown Boston, I visited the Beacon Hill location of The Upper Crust Pizzeria once and really enjoyed their freshly made calzones. 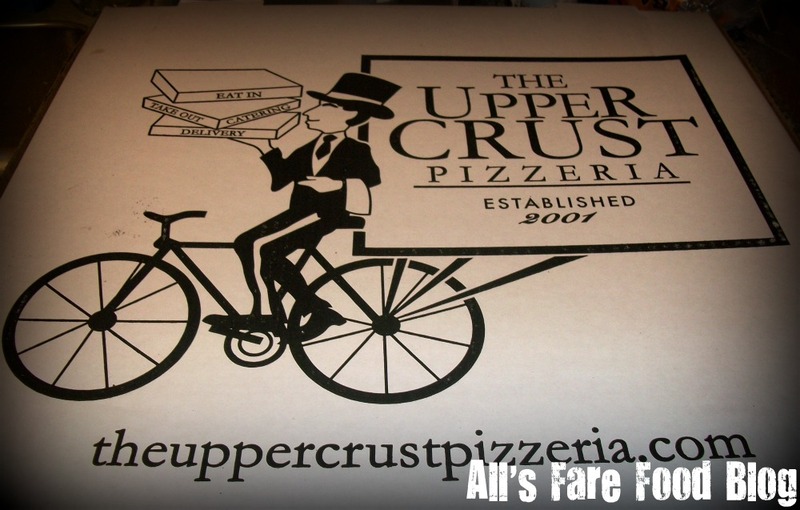 Now, that we’re back in the area, it was a great relief to know that The Upper Crust has expanded their restaurants to the suburbs, including the Salem area. One (snowy) night, we decided to get pizza delivery. The takeout and delivery menu is full of specialty pizzas and ample toppings so you can create-your-own ‘za. Pizzas can be made “red,” with sauce, and “white,” without sauce. They also have whole wheat pizza dough. The decision was tough to make. But we decided to order “The Swellesley,” a spicy pizza with chorizo, crushed red peppers, parmegiano reggiano cheese, red sauce, olive oil and basil. We also opted to go with the whole wheat crust. The pizzas have fun names a la Boston neighborhoods and attractions like “The Fenway” (Italian sausage, bell pepper and onion), “The Charles Street” (portabella mushroom, garlic and sun-dried tomatoes) and “The Newbury Street” (breaded veal scalloppine, mozzarella, marinara and basil). The pizza was crispy. There was no noticeable difference between the whole wheat crust and a standard pizza dough. The toppings were fresh and fantastic. Chunks of spicy chorizo sausage along with the hot arrabbiatta sauce made water or milk a necessary sidekick. Warmed up the next day, the pizza retained its spiciness and crispness after heating up in the oven. The Upper Crust also serves up slices, calzones, lasagna and salads. Delivery is free. 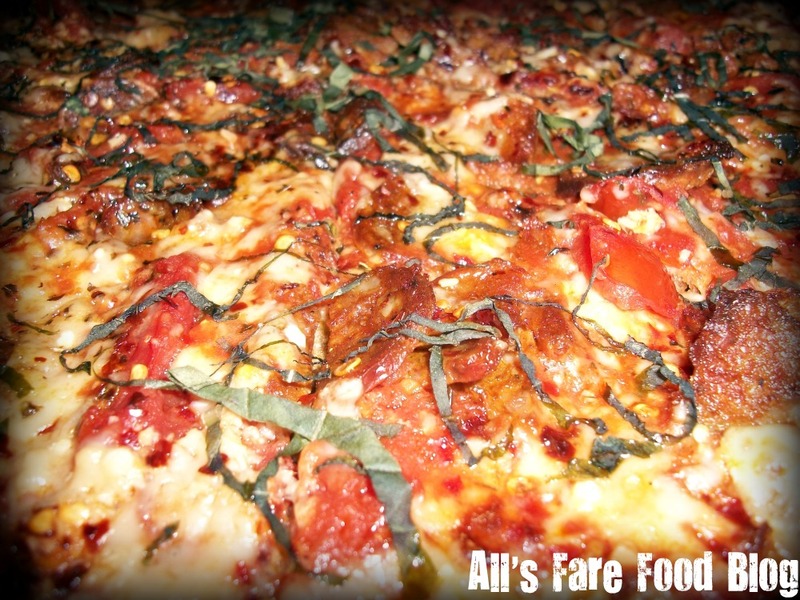 Find out more at www.theuppercrustpizzeria.com. 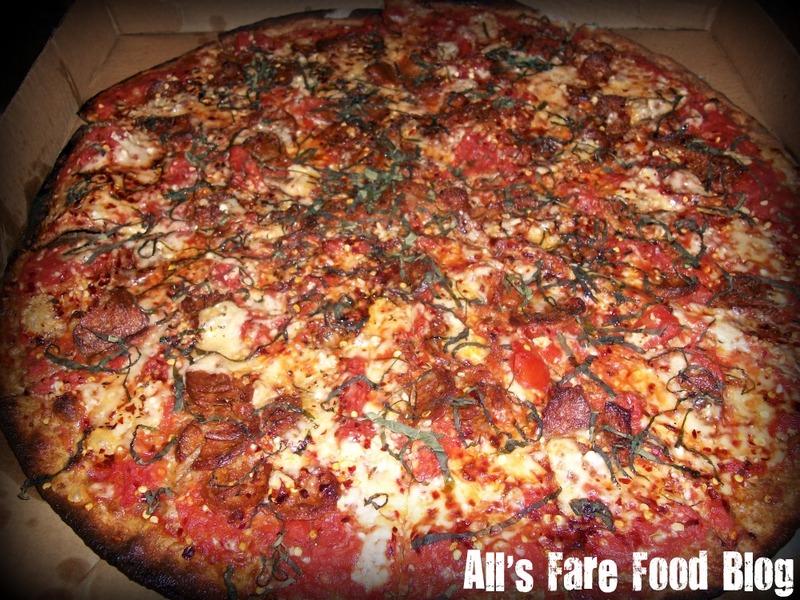 This entry was posted in Cuisine - Italian, Cuisine - Pizza, Places - Boston, Places - Massachusetts and tagged Beacon Hill, Italian, pizza, Pizzeria, Salem, Swellesley, Upper Crust by Christina. Bookmark the permalink.